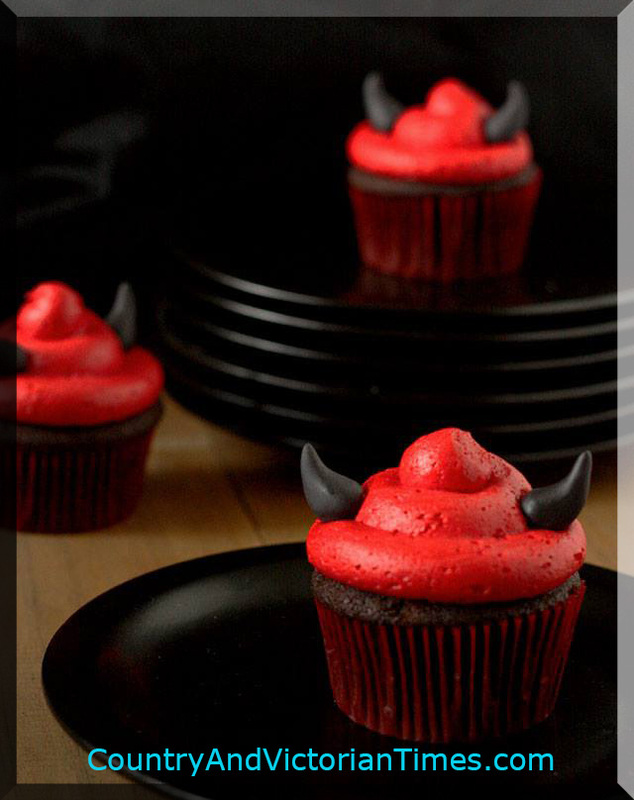 Simply devils food cake or red velvet cake cupcakes made in red cupcake liners topped with red frosting and make horns from frosting or fondant. This entry was posted in Recipes, ~Dessert, ~Holiday, ~Party and tagged cake, cup, cupcake, day, devil, horns, icing fondant, red, red velvet, valentine, valentines, velvet, ~Food, ~Halloween. Bookmark the permalink.